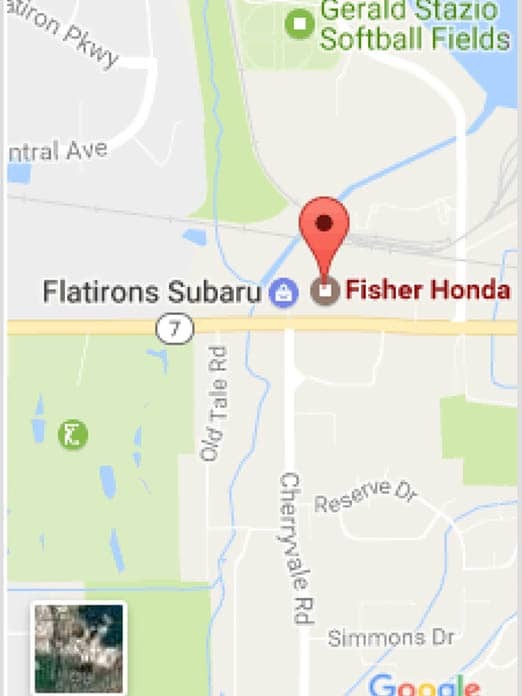 Fisher Honda in Boulder, Colo., has a Honda vehicle to suit everyone’s driving needs. Whether you’re looking for something sporty like the Honda Civic Coupe, a family vehicle like the Honda Odyssey or Pilot, or a rugged SUV like the Honda CR-V, you can find a Honda and make it your own. Check out the available Genuine Honda Accessories at Fisher Honda that will to take your Honda driving experience to the next level. Not only will these accessories add more comfort, convenience, and style to your Honda, but if you get them added on and installed at the time of your purchase, they’re covered by the Honda 3 year/36,000 mile New Vehicle Limited Warranty! Come in to Fisher Honda to select your new Honda, and then custom-design it with your favorite accessories. Most of the following Honda accessories can be added to any Honda vehicle, though some of the trailer features are specially designed for Honda trucks, minivans, and SUVs. Prices vary on all accessories, but many of them can be added for around $200! Ask your Fisher Honda sales associate for more details. Bass Speaker System — Its unique shape and design creates a clearer sound with an adjustable amplifier for variable power and frequency output. Remote Engine Starter System — Not only starts and stops your vehicle at a 200-foot range, but automatically heats or cools your vehicle based on the temperature. Trailer Hitch — Tow your trailer, camper, boat, etc. Full Nose Mask — Protect your paint job from rocks, salt, and the elements. Wheel Locks — Protect your new chrome wheels from theft. Roof Rack — Load up to 165 lbs on top of your Honda truck or SUV. Snowboard Attachment — Attaches to your roof rack to accommodate two snowboards. Lockable. Ski Attachment — Attaches to roof rack. Lockable. Surfboard Attachment — Attaches to roof rack to hold two surfboards. Lockable. Bike Attachment — Two bike attachments can be placed on the roof rack, each holding one adult bike. Lockable. Kayak Attachment — Requires roof rack. Short Roof Box — Stores up to 45 lbs of cargo that you want covered and protected. Soft Roof Cargo Bag — Waterproof material with a molded base design provides the protection of a cargo box with flexibility to roll and store. A storage bag with carrying strap is included. Mid-Size Roof Box — Covered, hard storage large enough to carry golf clubs and skis. Body Side Molding — Help protect against door dings. Color-Matched Door-Edge Guards — Protect the door’s edges from chips and scratches. Door Edge Film — Clear urethane film protects the edges of your doors from nicks and scrapes. Hood Air Deflector — Sturdy, weather-resistant black plastic protects the front of your Honda from damage caused by bugs, rocks, gravel, salt, and other road debris, and also helps deflect this debris from your windshield, so you don’t have to worry about cracks, scratches, or other costly damage to the hood or windshield. Custom-designed for your Honda, the hood air deflector also improves gas milage by making your vehicle more aerodynamic. Side Window Visors — Durable polycarbonate visors attach above the doors and hang over the side windows to reduce noise and turbulence that you experience when driving with the windows down, while also shielding against rain, hail, snow, or sleet from coming in through open windows. Moonroof Visor — Operates on the same concept as the side window visors by deflecting wind noise and precipitation, while still allowing fresh air to circulate throughout the vehicle. The crack-resistant, tinted acrylic gives your Honda an aerodynamic look that also reduces glare from the sun. Tent — Custom-designed to work with the CR-V, Pilot, or Odyssey, this 10 ft x 10 ft tent sleeps six people and is great for camping and tailgating. Give your Honda a stylish edge with these hot accessories that will customize the look of your Honda. Black or Chrome Side Steps — Get assistance stepping up into your truck or SUV with style. Premium Running Boards with Lights — Add style with LED lighting option. 2nd-Row Seat Covers — Great for protecting your interior from messy kids. Cargo Liner — Store anything in your storage hatch and don’t worry about the interior getting dirty. Cargo Net — Adjustable elastic cords ensure that your cargo doesn’t get damaged, no matter the size. Cargo Tray — Made of sturdy ABS plastic, this is a more durable custom-fit cover than the liner, especially useful for hauling rougher cargo. Cargo-Area Cover — Hide what you have stored in your cargo hold. Wood-Look Trim Kit — Give your interior a warmer, more refined look with trim pieces for the front panel, center console, doors, A/C air-vents and heater control panel, driver and passenger front door switch, driver and passenger rear door switch, and side outlets. Rear Armrest Tray — Multiple compartments for extra storage. Auto Day/Night Mirror with Compass — Mirror automatically adjusts to degrees of light or darkness and reduces glare. Come in to Fisher Honda in Boulder, Colo., today and make the Honda of your choice everything you dreamed it could be. Genuine Honda Accessories will tailor your Honda for optimum driving comfort. Whether you want to protect your paint job, haul sporting equipment, or add some sleek style, there is a Honda accessory that will meet your needs. Fisher Honda is dedicated to giving you the vehicle you want at a price you can afford. Fisher Honda has been serving the greater Denver areas of Boulder, Erie, Longmont, Lafayette, Louisville, Westminster, and beyond for 50 years. Come in today and see how Genuine Honda Accessories can help create a Honda that is your very own.